We will help you maximize your insurance reimbursement by submitting all paperwork for you. Your entitled reimbursement of dental benefits will be mailed directly to you from your insurance company. Please remember that dental insurance is different from your medical insurance plan. Dental insurance is considered more of a maintenance plan. There are limits on the amount of benefits your dental insurance company will provide per year. 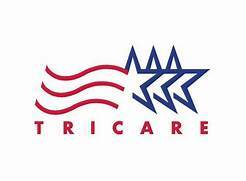 We are current participating dental providers with ADDP (Active Duty Dental Program) and Tricare dependents.